This classic style of glass brings the inner 1930 s out at any party for any occasion. 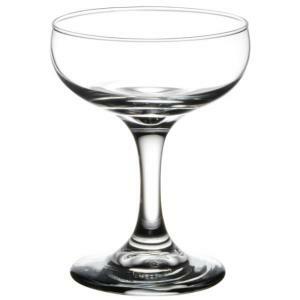 Also known as the champagne coupe this 4oz glass can also be used for other cocktails such as daiquiris. * Please call us with any questions you may have about our glass champagne saucer 4oz in the San Francisco Bay Area.